Blackberry Express – Blackberry Enterprise Server – Greyed Out? Home » Blackberry » Blackberry Express – Blackberry Enterprise Server – Greyed Out? 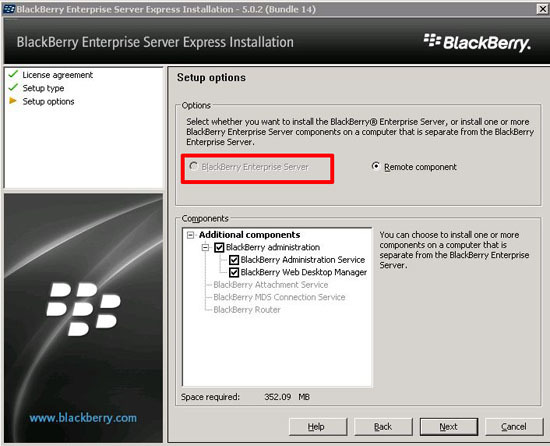 When trying to install Blackberry Express, the option to install "Blackberry Enterprise server" is "Greyed out" (or Grayed out if your American). 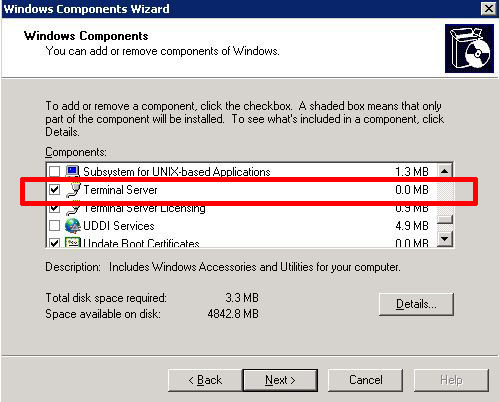 Not really a solution, but this happens because the server you are installing on is running Terminal Services. 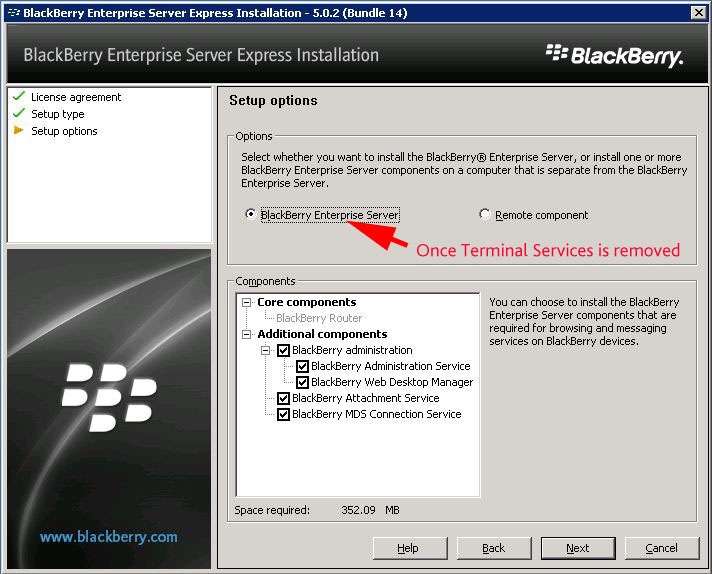 Either choose another non TS server, or remove Terminal Services.